Alarm clocks are fundamentally very simple things: They wait until the designated time, and then wreak havoc. Or so the basic concept goes, at least. 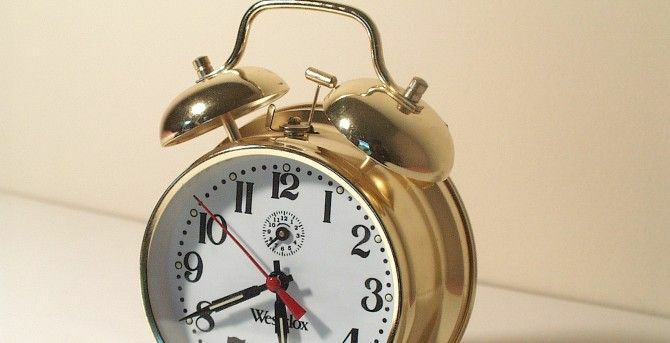 But these simple alarm clocks all face an age-old problem: What if you switch them off an go back to sleep for “five more minutes” only to wake up hours later? Supposedly, you could use self control to solve this problem. But why use self control when you can use technology instead? So, this is where things start getting creative. The next step up from a mechanical clock is one with a snooze function, of course — something we generally take for granted. But bring smartphones into the equation, and things really start getting wild. 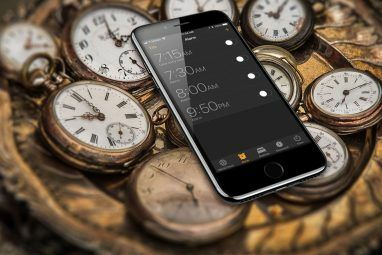 We’ve previously looked at several unique Android alarm clocks Better Ways to Wake Up: Unique Alarm Clock Apps for Android Better Ways to Wake Up: Unique Alarm Clock Apps for Android Wake up! Isn't it great when someone shakes you up in the morning and makes absolutely sure you’re up? 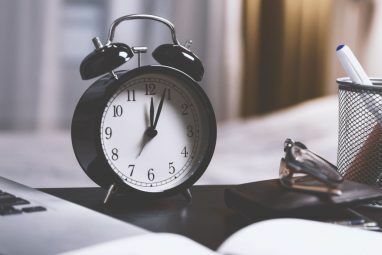 If you’re a serial snoozer like me, you know all about stretching your alarm from five... Read More , but Puzzle Alarm Clock pulls out all the stops in the snooze department: It’s absolutely determined to get you out of bed. I will be looking at the app’s paid version, which currently sells for about $2.30. Yes, the list above contains six entries, but only three sounds. This is one of Puzzle Alarm Clock’s few bugs. Like Gentle Alarm Gentle Alarm - A Fantastic Way To Wake Up Gradually Every Morning [Android 1.5+] Gentle Alarm - A Fantastic Way To Wake Up Gradually Every Morning [Android 1.5+] Gentle Alarm is everything I could wish for in an alarm clock. Its paid version (linked) costs around $3, and yet has over 50,000 downloads with a 4.5-star average out of 7,475 reviews. In fact,... Read More , the Calm mode fades the alarm in gradually, but where Gentle Alarm lets you control exactly how gradually the volume increases, Puzzle Alarm Clock offers no such control. A couple of options worth noting: “Check if I’m awake” shows a notification 5 minutes after the alarm is dismissed, to make sure you’re awake. If you don’t tap the notification, the alarm rings. Note that dismissing (swiping) the notification isn’t the same as tapping it: If you just dismiss it, Puzzle Alarm Clock would still start ringing again five minutes later. The “FB motivation” feature presumably posts embarrassing stuff on your Facebook feed if you fail to wake up, encouraging your friends to “suggest a punishment”. Finally, you can also opt to launch an app immediately on dismissing the alarm. One of the app’s annoyances is that you don’t get to test each mode. Ideally, it should have let you do a “dry run” for each dismiss method, showing exactly what it looks like. Since it doesn’t, you’ll be forced to manually set the alarm, wait for it to ring, test the dismiss method, and move on to the next method. A definite drawback. The Touch method is the simplest, and offers no advantage over basic alarm clocks: You get a Dismiss button, and some Snooze buttons. The Puzzle method lets you pick a mix of four different puzzle types. 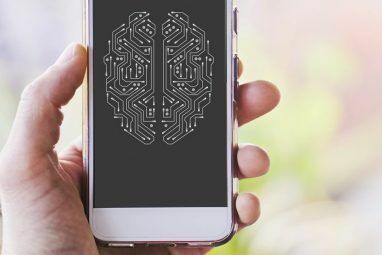 The Shake method gets you physically moving (shaking the device), and the NFC and QR Code methods have the potential to physically get you out of bed: Simply take an NFC sticker What Is NFC & Should You Buy a Phone That Has It? [MakeUseOf Explains] What Is NFC & Should You Buy a Phone That Has It? [MakeUseOf Explains] If you’re in the market for a new phone in 2013, you’re probably going to hear about something called NFC, and how it’s apparently changing the world. Don’t be fooled by the sales talk though.... Read More or print out a QR code and stick them somewhere (say, on your bathroom mirror). To dismiss the alarm, you’ll have to actually trudge out of bed and scan them. Extremely annoying, but also useful. Since you can control the difficulty and even opt to solve several puzzles one after the other, this can be an effective way to wake up. You do need to know yourself: It is all too easy to set up a difficult sequence of puzzles that will have you waking up thoroughly annoyed, or simply shut down your phone in frustration and go back to sleep (that’s always an option). Puzzle Alarm Clock gets points for pulling out all the stops when it comes to dismissing the alarm. The UI is fairly nice, too. However, not being able to test each dismiss mode diminishes the app’s usefulness — as do several bugs I’ve come across while testing it. You would do well to try out the free version before you buy this one, but it can be useful for heavy sleepers. What alarm clock do you use? Do you find puzzles helpful for waking up, or do are you more into using self-discipline? Let me know in the comments.